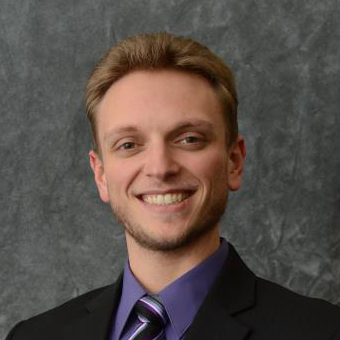 Peter Fendt is pursuing dual PharmD/MBA degrees at the University at Buffalo, focusing on consulting and healthcare administration. Born and raised in Manhasset NY, Peter was attracted to the high caliber and reputation of UB’s MBA and PharmD programs, which drew him from Chicago to Buffalo in 2011. Peter has worked as a local Rite Aid Pharmacy intern and completed an international business and market analyst internship for Tipton Mills, working with UB and the Erie County Industrial Development Agency (ECIDA) to develop contacts for expansion of sales and business internationally. Most recently he worked in product development and marketing at Clinical Support Services (CSS) supporting pharmacy service delivery systems. Peter is a senior consultant with the Buffalo MBA Consulting Group, WNY’s pro bono MBA student-run consulting firm dedicated to assisting local businesses. He is also active in professional organizations through which he has had the honor of engaging the community, including Christian Pharmacists Fellowship International, Phi Delta Chi Professional Pharmacy Fraternity, and Phi Lambda Sigma Pharmacy Leadership Society. Peter is a graduate of the two-year LeaderCORETM certification program at the Role Model level. Upon graduation, Peter will pursue work in the local pharmaceutical industry and in healthcare administration, ultimately opening his own consulting firm.